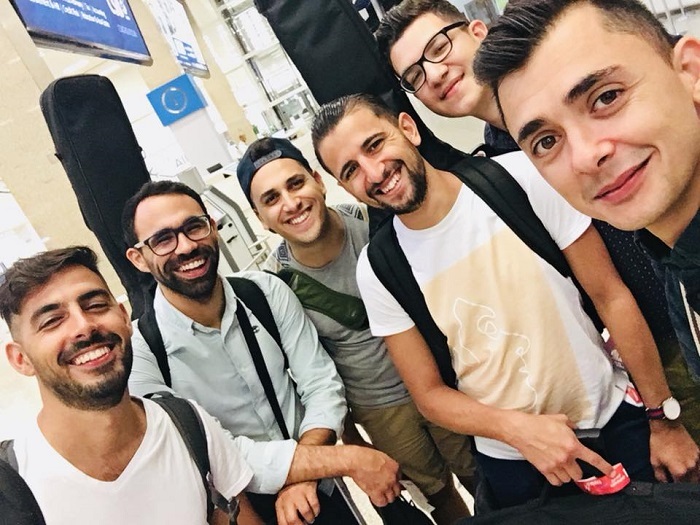 Following their success in Malta the local band ‘The Travellers’, the six Gozitan youths that make up the group – Clayton, Joseph, Chris, Andrew, Sylvano and Michael – are now following their musical travels overseas. They are currently in Tunisia participating in small concerts in different localities. They are also being invited to play their music on a number of radio stations. Commenting to TVM, ‘The Travellers’ said they feel honoured playing in Tunisia and are receiving a very good response because their admirers are not only the Maltese but also other foreigners. ‘The Travellers’ have a number of popular songs in Maltese like ‘Xemx u Xita’ and ‘Ħafi Paċi Kuluri’ and their pop style is followed by many and their concerts are always well attended. Their visit to Tunisia has been made possible with help from the Cultural Diplomacy Fund, the Ministry for Foreign Affairs, Ambassador Mark Pace and Gabriel Camenzuli from the Malta Embassy in Tunis.